As social media continues to influence search engine page rankings, it is important to monitor popular trends in real time to increase the reach of social media campaigns. This past October presented an opportunity to show how a combination of real time keyword research with targeted updates to blogs, Facebook, and Twitter can have both an immediate and lasting effect on organic traffic. 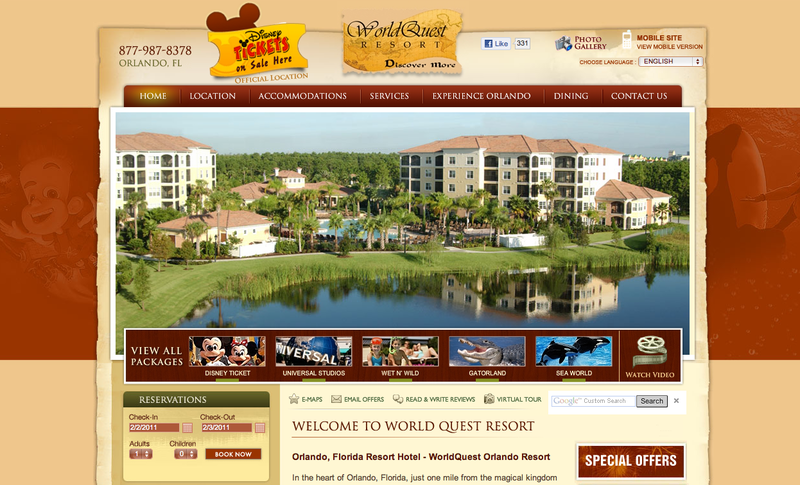 The following case study details the impact of leveraging real time social trends had on multiple social media channels for WorldQuest Orlando Resort in Orlando, FL. 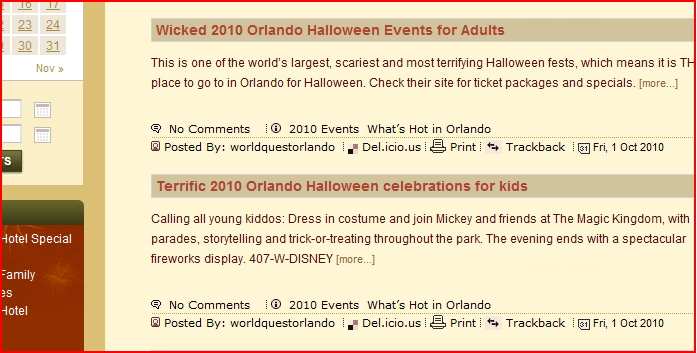 The process began with well-structured blog posts, giving details to popular Halloween events across Orlando. 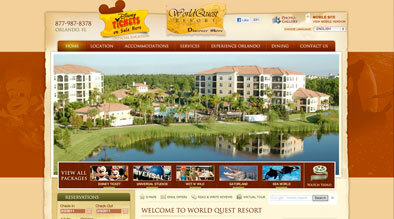 The events were chosen based on popularity, demographic, location, and networking ability (i.e. Do they have Facebook/Twitter presence with which to interact). Specific posts were then created several times a week for both Facebook and Twitter. All posts included tags and references to specific events, and included shortened links pointing back to the full blog posts. Using Google’s link shortening service http://goo.gl, the links were optimized so that the full title was referenced and index in the real time search. By posting to various channels during high traffic times of the day, the number of post impressions increased and lead to higher level of interactions among fans and followers. 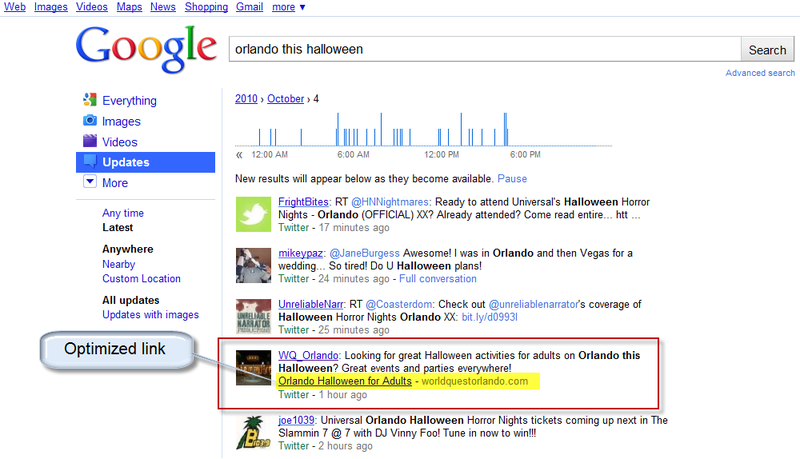 In addition, reaching out directly to other bloggers, including interactions on Twitter, Facebook, and through the comment systems of other Orlando bloggers, increased interest in the events posted on the WorldQuest site, leading to WorldQuest’s blog appearing on Page 1 of Google’s results for the high volume term “Orlando Halloween kids” (over 3,880,000 results).